It could be the first human settlement on another planet. European Space Agency bosses have revealed a video tour of the moonbase they hope could see its first visitor in 40 years. 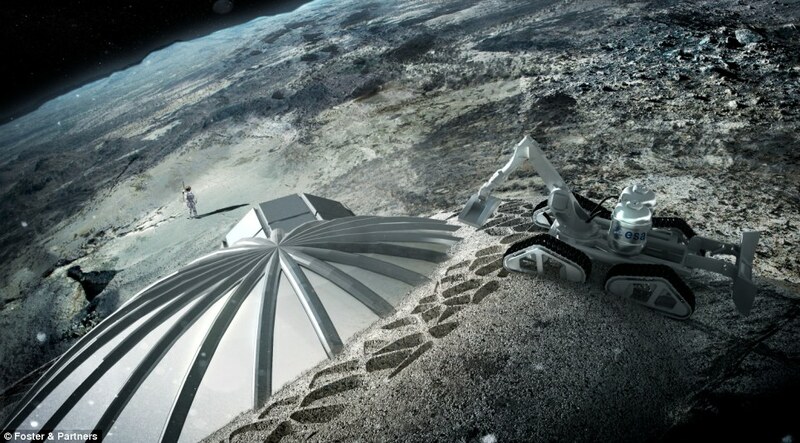 It will be made from an inflatable done covered in lunar soil by robots to create a safe structure, and will have room for four to live and work. 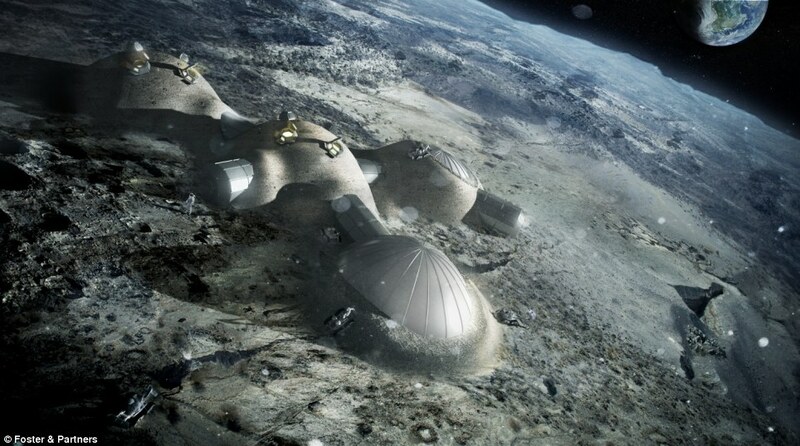 ESA teamed up with architectural firm Foster + Partners in a bid to set the wheels in motion for a permanent human presence on Earth's only natural satellite. And experts say it could be ready for humans to move in within the next 40 years. Autonomous robots will be used to 3D print a cellular structure to house four people, and can offer protection from meteorites, gamma radiation and vast temperature fluctuations. 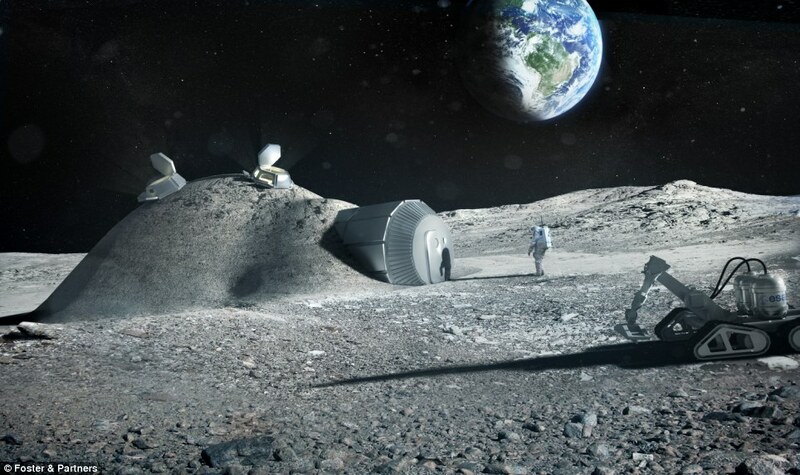 The theory is that 90 per cent of the materials needed to build the structure already exists on the Moon, so only the robots and light-weight parts, such as inflatables and the solid connector and entry segments, will have to be ferried from Earth. The few parts that would need to be made on Earth would be folded from a tubular module that can be transported by space rocket. To ensure strength while keeping the amount of binding 'ink' to a minimum, the shell is made up of a hollow closed cellular structure similar to foam. 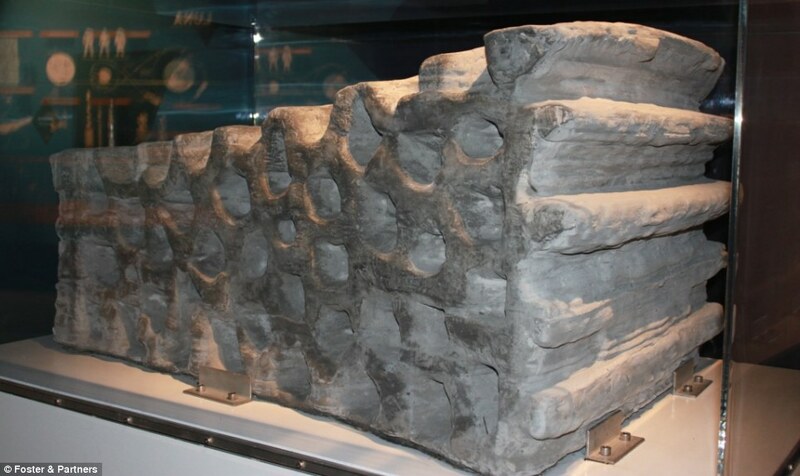 The raw lunar material is turned into a pulp and sprayed to form a solid block that is then used to build walls at a rate of around two metres an hour. 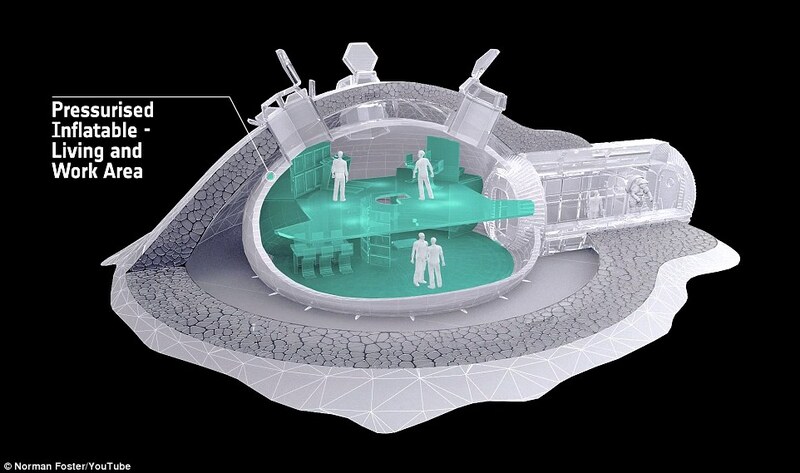 Foster + Partners devised a weight-bearing 'catenary' dome design with a cellular structured wall to shield against micrometeoroids and space radiation, incorporating a pressurised inflatable to shelter astronauts. 3D 'printouts' are built up layer by layer – the company more typically uses its printer to create sculptures and is working on artificial coral reefs to help preserve beaches from energetic sea waves. 'First, we needed to mix the simulated lunar material with magnesium oxide. 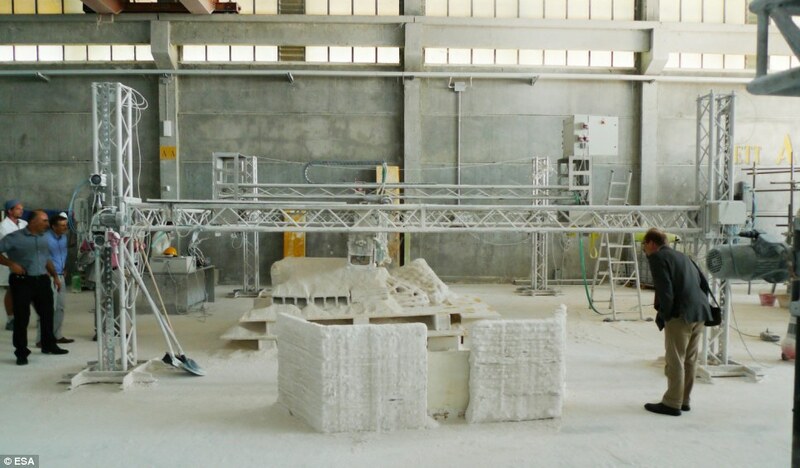 'This turns it into 'paper' we can print with,' explained Monolite founder Enrico Dini. 'Then for our structural 'ink' we apply a binding salt which converts material to a stone-like solid.